I’ve spent the last couple of months occasionally trying to do my job with an iPhone and my new iPad mini. Had to cover opening night of the fair last night for the 20-somethingth time, so decided to do it mobile. What a disaster. Got my eyefi card talking to my ipad? Check. So I shoot the story, get some pr flak voice and sit down in a quiet place to edit. I’ve shot tons of 30-second iphone videos with clips butted together and emailed in. That works fine. This time I thought I’d try to put flak audio under b-roll and try to make it a real video. Whoa. Blew up in my face. 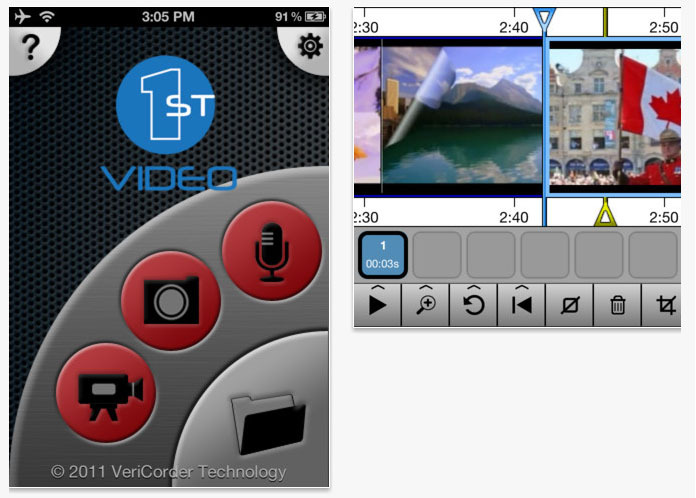 Vericorder 1st Video is the only app I know that will layer audio from a video clip so that’s what I used. It’s the most user-hostile video app you can imagine. Ok, hours later I’ve got a bad video put together. On the iPad Mini, there’s no way to tell if a clip is in focus, there’s no way to skim clips for good bites, and frame-accurate editing is an exercise in frustration that makes you want to cut your thumbs off. But I’ve got a one-minute-twenty video. Ok, recut it to a minute. Pull it into other video apps to compress it. Finally get it small enough to email. If I had shot it on my regular camera and edited on my laptop, it would have been done three hours ago. Oops the desk says it won’t transcode through our video provider, VMIX. Crap. VMIX doesn’t like modern quicktime codecs. After midnight, I finally give up and pull everything into my laptop, edit a much better piece with stuff I know is in focus, and post it myself. Consider slitting my wrists but decide to do a ‘will it blend’ video of my iPad. Anyone else out there on the bleeding edge of mobile video production? Got any app suggestions that will layer audio and video like Vericorder’s? Quick to use apps that don’t constantly crash like Splice? Anything with a ftp client built in? Anyone figured out how to get sound from an audio recorder into a video editing app? Why does something so simple become so hard with just a little extra thrown in the mix? Ok, I’m resigned to a laptop from now on. Update from Glen Mulcahy, who runs the excellent mobile journalism blog VJ Technology, who tells me Pinnacle video editing app WILL split audio from video if you drag clip to audio line instead of video! D’oh!